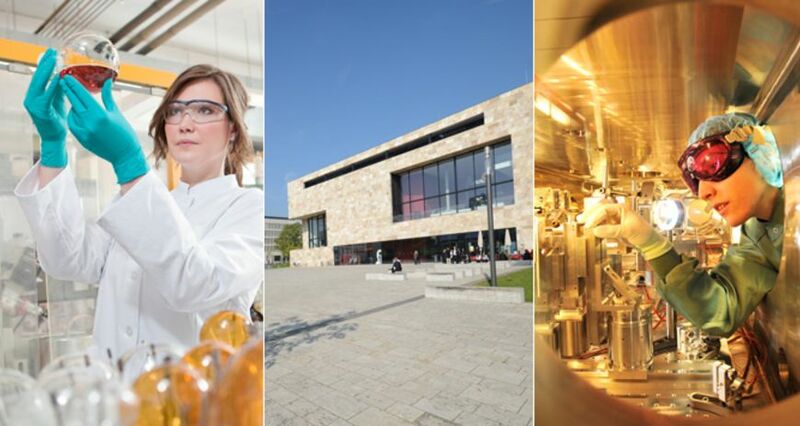 The German Science Council has published its recommendations for the future of the German science and research system. In a first statement, the Helmholtz Association welcomed the newly published recommendations. "We find ourselves fully confirmed in central points of our mission", said Jürgen Mlynek, President of the Helmholtz Association. Sure enough, the German Science Council commends the Helmholtz Association's strategy to enter into new co-operation models in particular with universities. It moreover supports the Association in its intention to further intensify these co-operation activities. The Science Council likewise assigns an increasing importance to the provision of large-scale research infrastructures – a unique feature offered by the Helmholtz Association within the German science and research system – and recommends to further expand this infrastructure provision. Yet the main focus of the Science Council is on strengthening the universities as "organisational centres" within the science and research system. The expert committee urgently encouraged them towards greater distinction and "competitive orientation". However, the media promptly criticised the corresponding passages of the paper as "vaguely phrased" (Süddeutsche Zeitung). Previous versions of the paper, the media stated, had placed clearer demands with the universities, right up to the statement that the majority of universities will "have to define themselves in another way" than the small group of universities, which could align with the range of international top-class universities. These passages are not included in the final version. Specifically, the Science Council suggests the creation of 250 "Merian" professorships, each endowed with one million Euro, which ought to be jointly funded by the federal government and the federal states and which are to win over excellent scientists. In addition and also by joint funding from federal government and the federal states, 40 so-called "Liebig Centres" are to be established, which are directly subject to the university executive committee disregarding of the individual university structure and which are to implement their own respective core areas to further serve the profiling of their university. Horst Hippler, President of the German Rector's Conference (HRK - Hochschulrektorenkonferenz), spoke of a "successful range of well balanced measures, which will strengthen the German science and research system as a whole". Lastly, a central demand of the Science Council was to unify the individual science initiatives, such as the Higher Education Pact (Hochschulpakt), the Initiative for Excellence and the Joint Initiative for Research and Innovation, in one single "Pact for the Future of the Science and Research System". As early as in 2014, the federal government and the federal states are to agree on a financial perspective for the coming years to at least 2025. Regarding this, Helmholtz President Mlynek stated that strengthening the universities is of crucial importance for rendering the overall science and research system enduringly efficient. He said that, therefore, the Helmholtz Association welcomes also the Science Council's recommendations regarding improvement of the universities' financial framework conditions, both in the field of basic funding for ensuring the provision of education and in the field of promoting excellence. Mlynek added, however, that improving the financial margin for universities must not be at the cost of non-university research institutions. "The stability of their funding by way of continuation of the Joint Initiative for Research and Innovation in the present scope is indispensable." Consequently, the Chairman of the Science Council, Wolfgang Marquardt, contradicted the first interpretations of the paper, which fear that the Science Council intends to shift the balance within the science and research system in favour of the universities and to the disadvantage of non-university research institutions. "This is about balance, both are needed in equal measure", said Marquardt. Other extramural science organisations likewise commented positively in their first reactions to the Science Council paper. The paper provides impulses for the further development of the science and research system and highlights the gratifyingly broad consensus between the stakeholders as regards the efficiency and diversity of the system, said Peter Gruss, President of the Max Planck Society. "The Science Council's demand to further increase funding for education and research is a necessary prerequisite for maintaining and further developing the dynamic within the system that was triggered by the previous pacts and initiatives." HRK President Hippler predicted that the time for avowal will come right after the Bundestag parliamentary elections: "The federal government and the federal states have to agree on the Future Pact as suggested by the Science Council with the highest priority, if they intend to take seriously their own commitment to maintaining the competitive capability of Germany as a site for science and research."